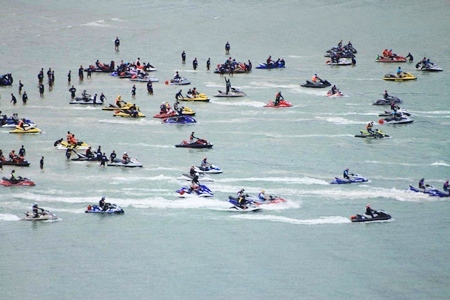 A fleet of 84 jet skis sailed from Toey Ngam Beach in Sattahip to Hua Hin to commemorate the crossing 45 years ago by HM the King in a sailboat he himself made. 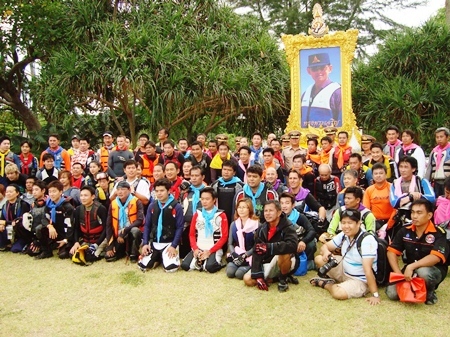 Royal Thai Marines Commander, Vice Adm. Pongsak Purirot opened the event at Prince Chumphon Camp. About 500 people turned out to watch the launch of the 220 km. trek May 1. 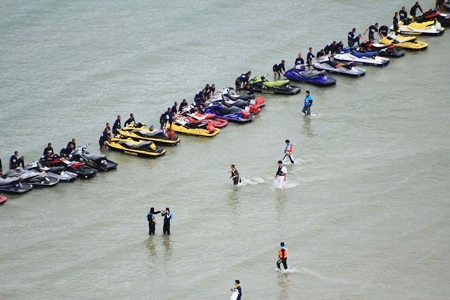 Some of the 84 adventurous jet ski riders prepare to set out across the Gulf of Thailand. 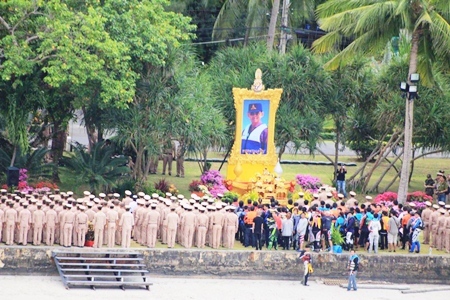 The Thai Navy celebrates the King’s April 19, 1966 crossing each year. 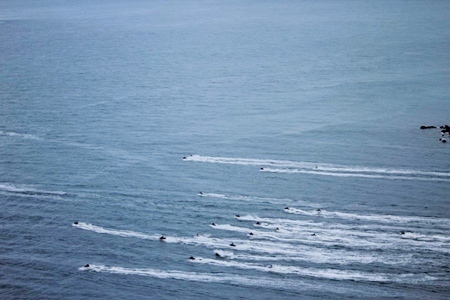 On that date, HM the King made a 14-hour crossing from Klai Kungwon Palace in Hua Hin to the marine base in Sattahip. When he arrived, dressed in full marines uniform, HM the King erected a marine flag at Kon Hin Yai, or “big rock,” in the center of Toey Ngam.